An ancient artifact is stolen . . . A long-lost document is found . . . A mysterious and dangerous journey unfolds . . .
New York Times reporter Maggie Seline writes an explosive book that offers a controversial solution to the Middle East crisis. When she uncovers a radical energy scheme that threatens the oil industry, Maggie suddenly vanishes. 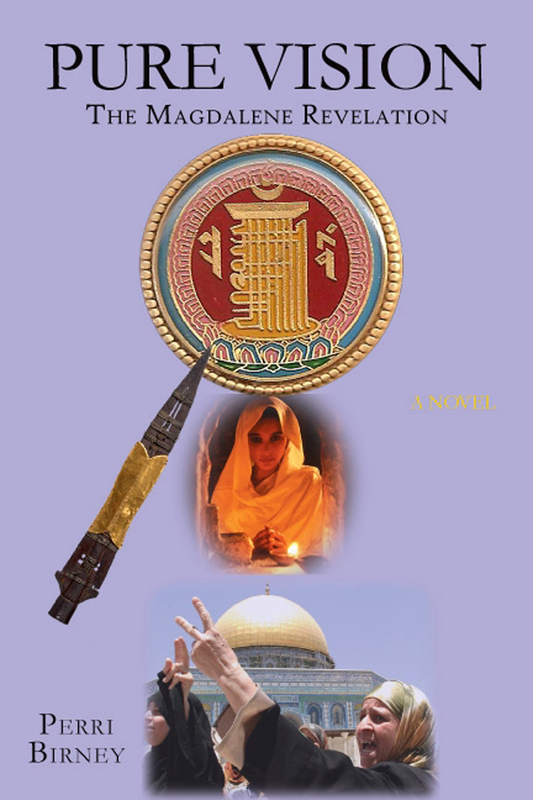 Her disappearance ignites a worldwide women's march toward Jerusalem that rattles the status quo and parallels a frantic race to possess ancient talismans. An upcoming peace conference hides the true motivation of Giovanni Mabus, outgoing president of the European Commission, who intends to exploit a powerful mythological connection between two legendary treasures. In league with the clandestine pseudo-Masonic group, Propaganda Due, he devises a plan aimed at furthering political and military chaos in the Middle East in order to accomplish his aims. Meanwhile, Maggie secretly teams up with Dead Sea Scrolls scholar Michael Sonada in a race to thwart the sinister plot — a race that takes them into the forbidden regions of Nepal to make an earth-shattering discovery. PURE VISION forges ancient myths and contemporary challenges in this provocative and thrilling epic adventure. At every turn, Perri Birney's intriguing scenario encourages a closer look at the spiritual forces that infuse the world's political battles. Be a part of the vision. Purchase your copy now. Receive a FREE EBOOK when you sign up to our email list (KINDLE, NOOK and KOBO versions only). * If you don't have an ebook reader, you can still read the KINDLE eBook by downloading the Kindle App directly from Amazon. Copyright © Pure Vision Communications, Inc. All rights reserved.